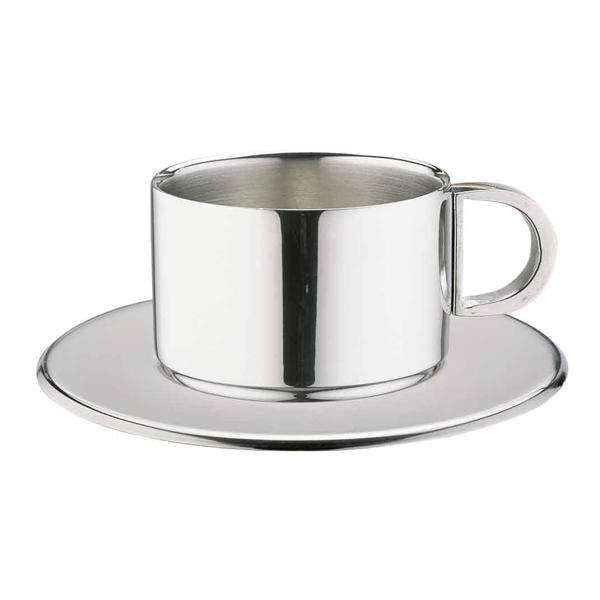 Manufactured from 18/10 stainless steel, these Espresso Cups and Saucers are perfect for both domestic and commercial use. Their double walled constructions adds improved insulation as well as increased durability. b) They look very stylish on their saucers; yet, we find the saucers just a little TOO flat for picking up off table or worksurface. They are ideal for stacking, but practically, in use there is just that problem of picking them up. The saucer edge is so low to the supporting surface." 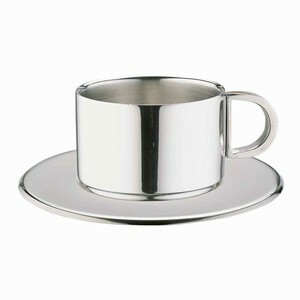 "Really pretty little espresso cups, I bought a pack of two, and enjoy my espresso of an afternoon, in my nice cup."